Home Virtual Team Building Activities Challenges & Games Truth or Lie? If they share a funny, weird or surprising fact about themselves, will you know if it’s true or a lie? Here we take the classic party and group icebreaker online and make it possible for the whole company to pay. Who on your team will share the craziest, non-believable story? Report an abuse for product Truth or Lie? 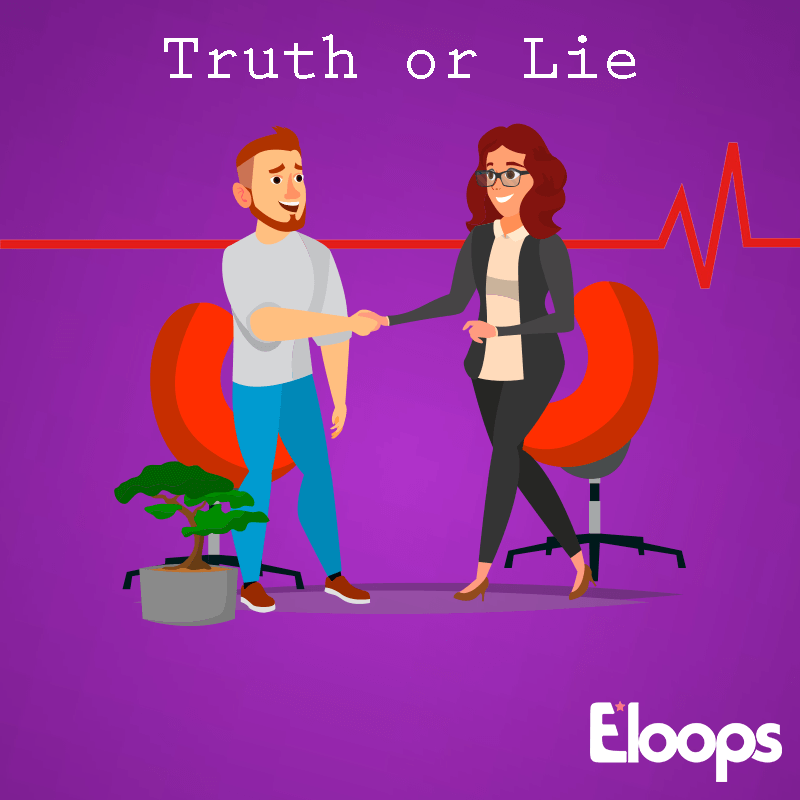 On the first day of this activity, employees are asked to submit one truth and one lie about themselves via your company’s Eloops app. Starting on the second day, we share some of the statements on the app and ask team members to identify whether they’re true or false. At the end of each day, we display the names of the employees who guessed correctly. To get you started, here’s one about Eloops: A robot wrote this text, and it can tell you which virtual activity your company should participate in. Truth or lie?